When it comes to moving, you have a lot of decisions to make. Some of these decisions—like settling on a house—are nerve-racking, but others are easy. Choosing between Total Loss and All Risk Insurance is one example of a no-brainer. If you want the best moving insurance, you want All Risk Insurance. To understand why, you need to understand what each insurance type covers. Total Loss Insurance covers exactly what it says it covers: total losses. And that’s it. Your stuff will be covered if and only if absolutely everything is lost or destroyed. Such total losses do occur from time to time. A flood could soak all your boxes. A fire could destroy them. The truck transporting your belongings could be stolen. These events are rare, but they are possible, and when they happen, they’re devastating. Total Loss Insurance protects you from these nightmare scenarios, but it does nothing against the more typical problems that arise in the course of the average move. All Risk Insurance, on the other hand, covers damages from all risks – unless they are specifically excluded in the policy Terms and Conditions. If all your belongings are burned, flooded or lost, that’s covered. If one item is broken, that’s also covered – although you’ll need to satisfy your deductible before coverage kicks in. Because damage to one item is far more common than a lost truckload of goods, All Risk Insurance is needed more often than Total Loss Insurance. And losses that don’t amount to total losses can still be serious. When you move, you pack up everything you own. Think about your personal items: your electronics, your clothes, your glassware, the items you collect and the items you cherish. If anything is damaged, you’ll want it replaced. That’s what All Risk Insurance does. When you select All Risk Insurance, you’ll need to agree to have your belongings packed by professional movers. If you were thinking about doing the packing yourself to save money, you may see this as a downside, but it’s really not. With All Risk Insurance, you’re required to hire a professional packer because insurers know that damage is much more likely to occur when the owners—who are tired, stressed and typically not professional movers—opt to do the packing themselves. If you pack your own boxes, you’ll be adding a huge task to your already long to-do list. Your precious belongings will be more likely to suffer damage, and you won’t have insurance to cover it. If you select All Risk Insurance and hire professionals to pack, damage is less likely, and any damage that does occur will be covered. 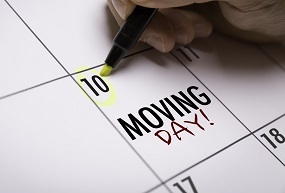 On top of that, you’ll have more time to handle other aspects of your move. You might even find a minute or two to relax. If only all decisions were this easy! Want to see how affordable all risk moving insurance can be? Learn more and get a quote here.